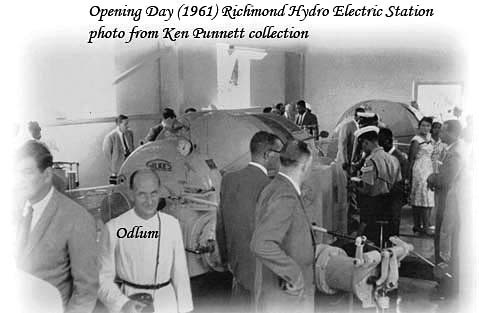 The Richmond Hydro Electric Station opened during the first half of 1961. 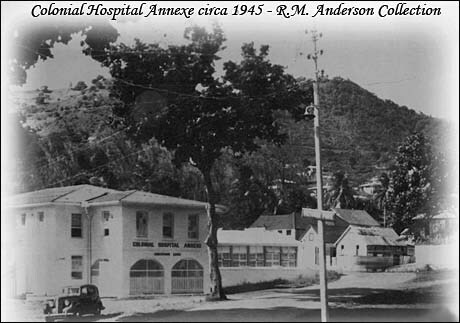 The new station assisted the South Rivers and Kingstown stations in meeting demand and enabled the extension of distribution to cover areas from Barrouallie to Richmond. Until then, service was available from Georgetown through Mespotamia and Kingstown to Layou.. In 1953, steel poles were used in Kingstown rather than treated wooden Poles. Steel poles can be seen in the "funeral procession" photo. 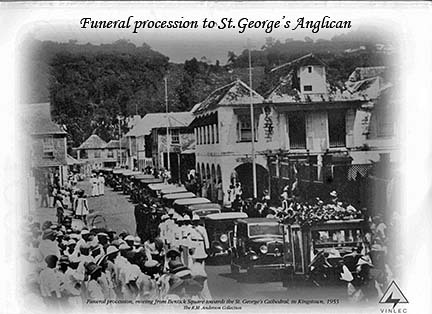 The funeral procession was moving from Bentick Square towards the St.Georges Cathedral in Kingstown 1953. It is a rather impressive looking funeral and one wonders who was being interned. 2005 12 08 Hi Tony, The photo of the funeral procession is of my grandfather Frederick John. HE DIED IN 1953 ON MY BIRTHDAY. He is the father of Dr Kenneth John, his 9 siblings including my mother Elsie, he was only 60 years old and had Diabetes, much better contolled nowadays. He was a very important man and had a state funeral, though I was very little I remember the day well all the cars, people and of course the police band , HE WAS A HIGH RANKING POLICE OFFICER. Could you please put some of this information with the photo? From Hazel Smith in England. 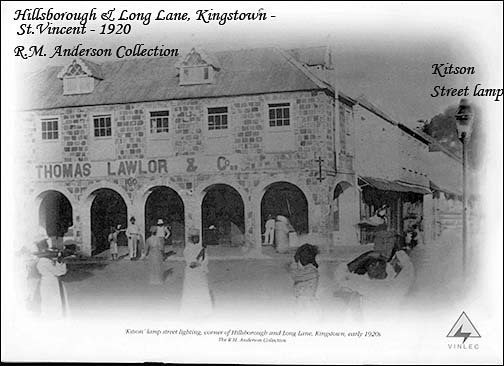 Before 1931, "Kitson" lamps were used to light Kingstown and other towns. Under the town Warden's supervision, these lamps were lit daily starting at 6 pm. The last known Kitson lamps were utilized in Barrouallie up to the end of the 1950s. In 1997, there were over 3800 street lights throughout the country. photocells are used to automatically switch them on and off at dusk and dawn. Arthur Kitson designed and built a pressure driven vapour burning lamp in the mid 1890s, but did not take out his US patent until 1898. The Kitson lamp, probably the best known from that period in Europe and the USA also incorporated features which can be traced onwards to the modern kerosene and petrol lamps in use today. "The quiet serenity of the candle and lamplit interior as seen in the photo awakens nostalgia for yesteryear's midnight services. 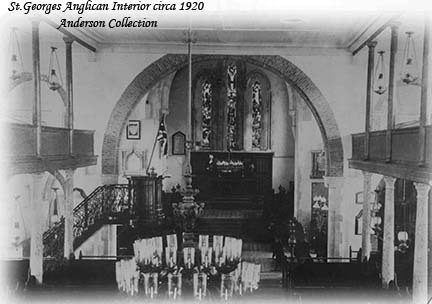 Many churches and homes use candle shaped bulbs in chandeliers, proving the aesthethic appeal of days gone by and the convenience of lighting at the flick of a switch. Hospitals and other essential services are assured a reliable supply of electricity and top-notched attendant services. Dedicated transformers that can be fed from two directions minimize the possibility of interruptions and ensure the reliability of the electricity supply.